Cutting your losses to secure your gains is one of those sound business practices that applies equally well to other areas of life. 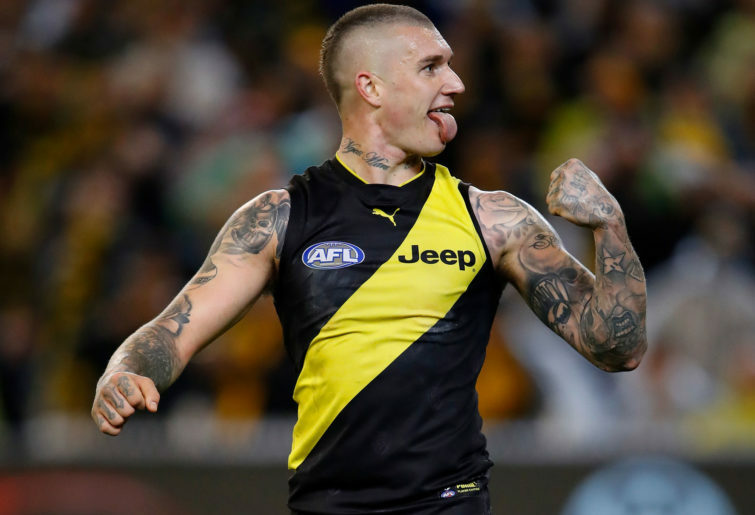 Having achieved an absurdly advantageous result at the AFL Tribunal on Tuesday, Richmond’s legal strategists were never likely to contest the fine imposed on Dustin Martin for aiming a couple of unsporting gestures in the general direction of giant Giant, Shane Mumford. That’s because there was another giant involved in the transaction, one they particularly didn’t want to provoke. The AFL could have challenged Martin’s reduced suspension on the basis that it was manifestly inadequate, and it would have won. Because a one-week suspension for a deliberate elbow to the head of a stationary opponent is manifestly inadequate. Martin was duly advised to apologise and pay the fine, most of the which was suspended anyway. It was the pragmatic decision. It was also plain wrong. The ‘please explain’ letter sent to Martin for his alleged misconduct was risible to the point of vexatious and should have been challenged on general principal. The phrase was a term of derision long before the AFL gave further cause for mocking it. Let’s re-examine the case. 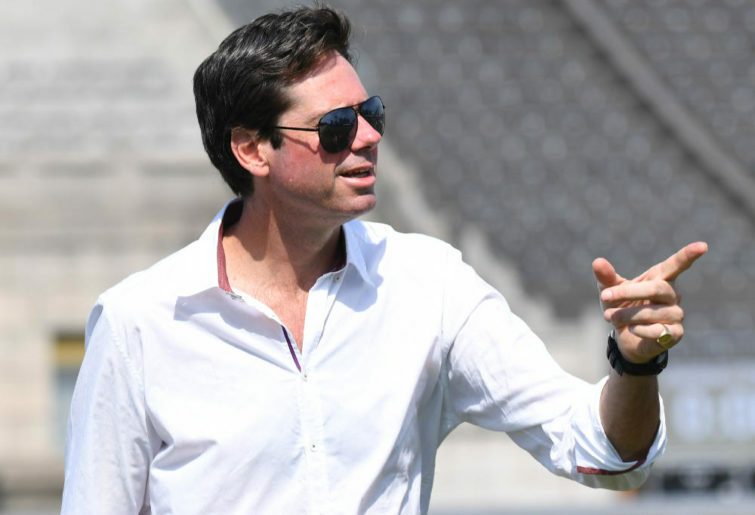 Martin was fined for two gestures which together and separately constituted misconduct, bringing the game into dispute or whatever other synonym for ‘not a good look’ happens to feature on Gillon McLachlan’s desk calendar on any given day. The first was the vertically raised finger colloquially known as the ‘one finger salute’, and regarded as offensive. The second was the simulation of a certain recreational activity Mumford was filmed engaging in a few years ago. Our grounds for dismissal are prior disclosure, provocation and the truth defence. Is it Dustin’s fault big Mummy was filmed hoovering up a few neatly measured columns of white powder. Of course not. Nor is it an allegation. It’s a fact that has been in circulation since late last year. It’s also beyond dispute that Martin was provoked into making the gesture. By all accounts, including his own, the giant Giant is a graduate of the Davey Warner school of sledging. Nor is the provocation limited to words – Mumford has been the most physically vigorous AFL player of his era, to stretch a euphemism to breaking point. Like Jordan Lewis, he’s owed plenty. A quick perusal of Mumford’s history suggests a distinct predilection for targeting players of incalculably greater talent and achievement than himself. That Gary Ablett Jr still managed to earn three Brownlow Medal votes after surviving a Mumford piledriver in 2011 was due entirely to genius and good luck. It didn’t make the violent spear tackle inflicted by his former team-mate any less indefensible. The best player of his generation could have ended up in a neck brace for life. That Dusty was largely ineffectual after his varied harassments suggests he’s got a good way to go before he’s in any conversation with Little Gaz. The raised finger is even more easily explained. The gesture was not the one finger salute. Simple as that. It was a stock-standard piece of physical mime practised by lovers of rap and hip hop music since the dawn of the genre, identifiable as such by the inverted 270-degree angle of the raised digitus medius – or middle-finger, for those west of the border. It means ‘Yo, bro!’ It’s an innocuous gesture as commonplace in the hip hop community as adjusting your protective equipment is in the cricket world. Ian Chappell would have spent half his life in the pauper’s court if he’d been fined every time he adjusted his protector. He may well have done time. Martin’s team-mate and friend Shaun Grigg will depose to the fact that Dusty is a long time fan of gangsta rap, a well-known variant of hip hop, and that he has post-football aspirations of entering the entertainment industry. Look at the angle of the raised digitus medius one more time. Then google Everyday Normal Guy by Jon Lajoie. We can probably dig up old video footage of Public Enemy, NWA, Disposable Heroes of Hiphoprisy, Boo-Yaa T.R.I.B.E., Dr Dre, Ali G, DJ Shadow, DJ Luke Dahlhaus and one or two others by way of further demonstration if necessary. It shouldn’t be. It’s hardly Dustin’s fault the AFL Commission isn’t always the exemplar of cross-cultural inclusivity it purports to be. In closing, the case should be re-opened on the grounds that my client was badly advised. His admission is therefore withdrawn and his apology recanted. We request that: (i) cash in the sum of $2500 be promptly returned, (ii) the CEO of the AFL and at least three commissioners be required to attend an upcoming seminar in cross-cultural awareness, and (iii) that request (ii) be suspended subject to the satisfactory meeting of request (i). Don’t argue, Gill. It’s in East LA.